Auto repair software includes products that assist automotive technicians with car repair procedures and office tasks. Car service businesses (e.g. body shop, inspection, collision repair) utilize these tools to manage vehicle databases and track information, such as repair history, maintenance schedules, job estimates, and various diagnostics, as well as repair mapping and ordering parts. Managers can also use some auto repair products to organize and communicate with their workforce. Auto repair systems may provide tools for or integrate with products that handle billing, accounting and inventory management Drivers can use some auto repair solutions to estimate the cost for personal car repairs and get quotes from local mechanics. 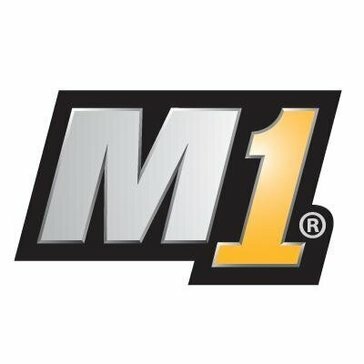 Auto Repair reviews by real, verified users. Find unbiased ratings on user satisfaction, features, and price based on the most reviews available anywhere. 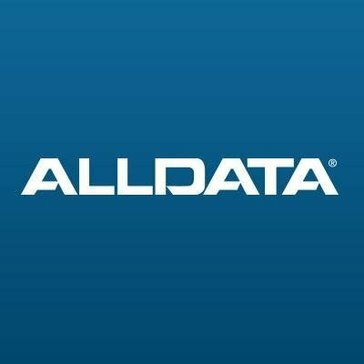 Alldata provides OEM service and repair information for automotive service and collision industries with a suite of products to help manage your traffic, processes and repair quality. CCC ONE Total Repair Platform brings the functions of your business together in one application to help manage shop performance, business, and costs. Get top-reviewed POS SHOP MANAGEMENT SOFTWARE + great customer service starting at $95/mo! Lookup VINs, attach photos with vehicle inspections, scan inventory, text-message, email, track mechanic efficiency. For repair, tire, specialty shops & warehouses. Choose Cloud, Multi-Store Data-Sharing, or non-subscription. Integrates Parts & Labor, CRM, QuickBooks, Sage 50, Tire & Wheel. Includes fleet, preventive maintenance & more. USA & Canada. Data Conversion available. No Annual Renewals required! Mitchell 1 Automotive Repair is an auto repairing and garage management software. It helps for analyzing, shop management,and marketing. R.O. Writer is a shop management software that helps manage your business by centralizing your activities by managing profits, efficiency, and predictability. Identifix is an online source for vehicle diagnostics, factory-scheduled maintenance plans, and OEM service & repair information with a database of vehicle symptoms, short-cut tests, and confirmed fixes to help the diagnostic process. Desktop solution for repair order workflow management. Features include payment processing and back office capabilities. Mitchell RepairCenter integrates the tools that help you generate profit by managing your repairs, customer satisfaction, and business. Karmak Fusion is a Windows based solution that is designed to handle the varied demands of operating a full-service business that includes accounting, parts inventory, service, sales, and more. Protractor.NET is a cloud-based managment and accounting solution that allows you to manage productivity and efficiency with estimating, automatic calculation, dashboard and key reporting, and more. Quick Quote is an estimating software for automotive mechanical repairs that stores customers information and history from estimate to work in progress and then the final invoice. ShopController® 10 Shop Management Software will streamline your business operations, boost your productivity, and maximize profitability at every level of your business. the 25th hour application: manage your sales and service built-in integration: phone, email, sms, websites, and webchat. Repair Facility is a solution for automotive repair facilities that allows you to manage estimating accuracy, repair quality and workflow with estimate writing, estimate compliance, repair tracking, insurance partner communication, and more. Auto Body Estimator 35 is a collision estimating and shop management software that provides information for oem and aftermarket parts. Auto Body SchedulerPlus is a management software that helps you gain control of your shop's workload by managing efficiencies and profit, control production schedule, manage cycle time and touch time, and more. AutoFlow 4:G is a bodyshop management tool that allows you to view a snaption of the activity within your body shop and allows you to manage reporting tools with estimating, courtesy and hire cars, accounting, online services, emails and SMS messaging, and more. Auto Repair Bill is an cloud-based auto repair invoice software that allows you to manage invoices, quotes, and bookings with detailed client and vehicle billing dashboards, repair orders, and more. Auto Repair Boss is a automotive software that provides inventory control, accounting, customer mail outs, estimates/invoices, sales tracking, and more. AutoS2000 is a shop management software that will help you manage your productivity and your bottom line with work order management, estimates creation, customer marketing & tracking, vendor management, and more. Auto Soft is an integrated auto bodyshop and workshop management system designed to help manage your profits with invoicing, job cards, estimating, accounting, electronic opinion based estimating, reporting, control of courtesy cars and parts control. AutoVoto is a mobile app based productivity, marketing, file sharing, communications, documentation and customer retention platform. Bay-masteR is a shop management software that provides solutions for handwriting, older software, and performance to help manage your daily operations. 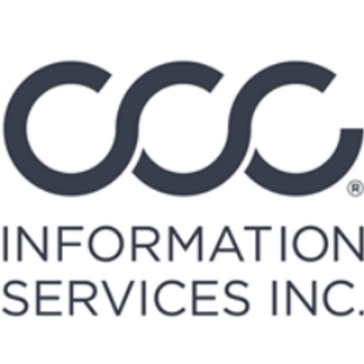 CC3 is an autobody management system that helps manage the process of job costing and repair order and posting financial transactions to an integrated accounting system, allowing you to bridge the estimates and supplements in one system. Microsoft's global partner in the business vertical market of Aftermarket Auto Repair and Tire Retail / Distribution. CRISMA provides auto body repair shop owners and managers the management tools to help manage the workload and bottom line. CRMS is a specialized collision repair solution including estimating, job costing and GP, technician allocation, & GL accounting with payroll. VMT Software writes Digital Wrench, a repair order software that is used for Auto Repair, Motorcycle Repair, Diesel Truck Repair (fleet maintenance), Marine Repair, and many more repair shops. Mechanic and Auto industry Appointment Scheduling Made Easy. The EZ-Auto-Scheduler has been designed for the auto industry and is customizable to the way you do business. GarageAdministrator is a shop management platform that generates estimates, schedules jobs, manages inventory and employees to track costs and calculate profits. GarageKeeper provides invoicing, customer tracking, inventory control and service management allowing you to automatically update information on parts usage, services, and more. HITS is a cloud-based auto repair and tire software for retail, commercial, and wholesale industries to provide, POS, inventory management, parts and labor estimating, and real-time inventory online. InvoMax is an automotive shop management software that provides print windshield stickers, email and cell-phone service reminders, sales and tax reports, automatic warranty tracking, and more. LANKAR PRO is a shop management software that allows you to control and manage technicians and inventory, accounting, payroll, and online marketing, in one system. The most complete and robust auto shop marketing platform for acquiring, retaining and communicating with customers. Mobile Manager Pro is the only digital vehicle inspection program that offers 100% real-time, 2-way integration with auto repair's top shop management systems. Drastically increase your average ROs, improve customer trust, and get more vehicles back on a regular basis by sending photos, videos, and tech notes in highly-detailed vehicle health reports via text messaging. Access all service history, scan VINs, decode license plates and build a more productive team. NAPA TRACS provides estimating, technical information and shop management software solutions designed to help you manage and grow your business. The Real-Time Labor Guide® was built by mechanics for mechanics. It helps them be more successful in their business by saving them so much time with the necessary but constant task of giving estimates, plus provides several shop & customer management tools to make running their business easier. If you’ve ever used a flat rate book to look up a labor time you know how time consuming and complicated that can be. Or perhaps you’re a new mechanic just coming out of school. You’ve heard of these so called “labor guide books”, you may even have seen them before, and even though you know they contain valuable information there is no plan to use them anytime in the future because all that information is available on the computer. But not all software is created equal. What if there was an online labor guide resource that was so easy to use that all mechanics – from the newest technician to the most seasoned veteran would feel comfortable using it? What if this labor guide became such an indispensable resource that it would not only replace the old books but also was the new measuring stick against which all other labor guide resources were held to? What if – as a bonus – this online labor guide resource was so powerful it could help you convey a professional image to your customers while ensuring profit maximization? Lucky for you – you’ve found Real-Time Labor Guide! Shop Boss Pro is a web-based application that allows you to manage your shop from anywhere with paperless features, an integrated estimate guide and email and text notifications. SHOPpro is an automotive shop management software that allows you to manage customer relations, business volume, and your bottom line. Vantedge Bodyshop Management Software provides estimate importing and repair order tracking as well as tracking your customers vehicles and insurance companies and repair and part status, and more. Yes Management System is a automotive shop management system that helps you write work orders, track maintenance and recommendations, retain customers, manage inventory, and order online. Online booking software for MOT and vehicle servicing. Online scheduling and garage assistant. AB Magique is designed to help fulfill today's commercial companies needs with features like the drawer effect, multi document, panoramic window, internet advantages, and more. Kukui's All-in-One Success Platform can quickly determine how your business and marketing programs impact revenue with POS-Integration. Attract new customers with AdWords campaigns managed by a certified Google Premier Partner. Retain your customers with custom emails, postcard campaigns, and a brand new Follow Up Module. Why Use Auto Repair Software? Who Uses Auto Repair Software? Auto repair software is built specifically to help repair shops manage their repair business by providing tools such as point of sale, vehicle history, invoicing, and estimation. An automotive repair business can also benefit from customer service features, purchase orders, accounts payable management, and inventory management, all of which are available features within auto repair software. Positive team collaboration can be beneficial for your entire workforce, enabling real-time work order updates and more efficient scheduling capabilities. Incorporating an internal live chat function with your auto repair system helps all team members stay on the same page, which can lead to a better employee and customer experience. Auto repair shops are not typically known for their advanced technology. However, more and more, repair shops and maintenance shops are turning to software to organize their businesses. While the repairs are still done manually, software can be used to ensure that accurate records are maintained, all the parts needed for repairs are in stock or ordered, and that mechanics have all the information and tools they need to complete repairs. Repair shop management software can ensure that repairs run smoothly and on schedule so clients can return to the road as quickly as possible. By implementing software solutions, mechanics can save valuable time while maintaining accurate records of parts and labor to avoid invoicing mistakes. Mobile Readiness — Mobile capabilities can assist greatly in providing estimates and vehicle updates to customers. Auto repair software with mobile apps can allow users to access and manage company information any time, provided an internet connection is available. This can cut down on time spent at the office doing invoices, as well as help your business provide excellent customer support. Vehicle Information Scanning — Maintaining proper documentation of vehicles and parts inventory is essential when running a repair shop, especially if you have a high volume of customers on a daily basis. Many auto repair systems feature vehicle identification number (VIN) scanners, taking the errors associated with manual entry out of the equation. Once a VIN is scanned with a mobile device, the customer information is found and vehicle information populated, reducing your need for additional input. If the customer is not on file, the vehicle information can be decoded and entered into the system. This feature saves an enormous amount of time when dealing with customers and allows for optimal repair efficiency. Customer Retention — Without customers, you have no business, so it’s important to keep customers both happy and returning. By making work easier for your mechanics and maintaining high service levels for your customers, you can ensure that you will not lose business. A mobile app to help easily perform vehicle inspections can make a customer’s visit much faster than it would be otherwise. Repair shop software can also streamline the sales process and provide a labor guide for mechanics so all work is held to the same standard. Auto repair software is used by the automotive industry within repair shops and small businesses who perform automotive repair jobs. Managers can use the software to manage their workforce and day-to-day operations. Mechanics and other workers can use the software to organize individual jobs by ensuring that they know what repairs need to be performed, what materials or parts are required, and how long the job took once it is finished. Shop managers can use auto repair software to organize their entire shop from back office tasks such as accounting and employee management to client data and invoicing. Managers can see their current inventory, jobs in progress, and available mechanics all in one place. This helps allocate resources accurately and determine the availability to perform new jobs. Managers can also create purchase orders for parts and track those orders in order to estimate how long repairs will take. Increased organization means more jobs can be performed more quickly, increasing the volume of repairs. Mechanics can use auto repair software to see what jobs they need to perform that day, the history of the vehicle they are working on, what parts they need, and what parts are in the shop and which need to be ordered. These tools allow mechanics to work more quickly and efficiently, so they can perform more repairs in less time. Mechanics may also be able to access a database of vehicle parts and repair instructions, removing the guesswork and extra research. Cloud vs. On-Premises — In the new world of cloud computing, it is important to consider whether your auto repair software is accessible outside of the office. While the majority of inventory management, customer data entry, and appointment scheduling can be done from the shop, many in the auto repair industry may prefer to have around-the-clock accessibility. When it comes to communication with customers and staff, cloud-based products may be a better option for those on the go. Invoicing — While many shops may already employ invoicing software, invoicing tools in auto shop management software can streamline the entire business. Especially if the tool also integrates with or contains the features of accounting software. Operations become much easier when a customer can provide a credit card and pay for their service on the spot. Integrations — Integrations are important, as the software platform you choose will likely need to be linked to billing, accounting, POS, and/or inventory management solutions. While some auto shop software offers extended features for billing, accounting, and inventory management, many do not. While integrations may not automatically connect to the software you are already using, some integrations are easy to set up, provided the software solution is primed to connect to that type of software. General Ledger — While financial software integrations are not guaranteed, a general ledger will help your business stay organized. In the back office, a digital general ledger ensures that all aspects of the business are accounted for and easily accessible. Hi there! Can I help you find the best Auto Repair solutions?